Meetings were held each month. Our chair sorted the agenda and led the meetings. The school council has discussed many matters and arranged class discussions. The whole school community has been involved. Working parties have been formed to complete actions. a 'Learning Participation' policy was written, discussed and signed by the chair, Mr Hoare, Mrs Prinsep ( representing the School Monitoring Council ) and Mrs Short. It explains what Learner Participation is, the school's commitment, aims and the school council structure and processes. Working Parties fed back updates to school council- including Diamond Diners, Litter Picking, Marhamchurch Christmas Tree Competition,Thrive Room, Tuck Shop, Plastic Free School and the Born to be Wild (local charity). Secret Student - a child in each class will observe a lesson and complete a feedback sheet. A Family Quiz - all of school council liked this idea. The PSFA (Parents, Staff, Friends Association) were asked if they thought this was a good idea, which they did and will be happening in February. Children in Need - everyone's thoughts were taking into consideration to decide how the school raised money. We raised £100+ to go to the national charity. Supporting other schools - Stratton Primary School would appreciate our help. In February some councillors will visit and talk about the procedures we follow and what we do. Mrs Short visited Celtic Cross schools in St Maybn and St Petrocs which we can be in touch with using Skype. School Council Boxes - these are in every class. Children can write down any idea they wish to be brought up in meetings. They had not been used very much. The councillors thought of ways to remind everyone to use them. We were inundated with manifestos from willing candidates.All were displayed in class anonymously for everyone to see. Class elections were held by secret ballot , each manifesto read out for all to hear and children voted on qualities and ideas. Ten councillors were voted in and their first meeting held on 8th October. 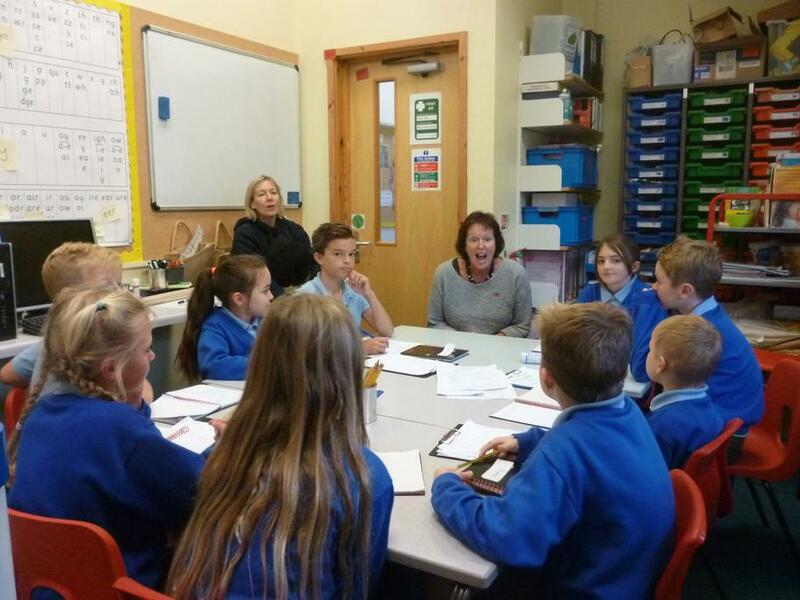 Our second meeting was 5th November with a full agenda which the officers asked our school community for ideas. our constitution - which was added to this year. officer roles - all councillors could select which role they would like to be voted for after they were fully explained. The school council had a secret ballot.We now have a chair, vice-chair, secretary, vice-secretary, treasurer, vice-treasurer plus new for this year public relation officers. a school local charity. A whole school discussion with a vote followed and Bude's Born to be Wild was selected. a global charity. Which will be confirmed in the near future, following more school discussions. Community links; The Royal British Legion asked for help with the Marhamchurch Field of Remembrance. 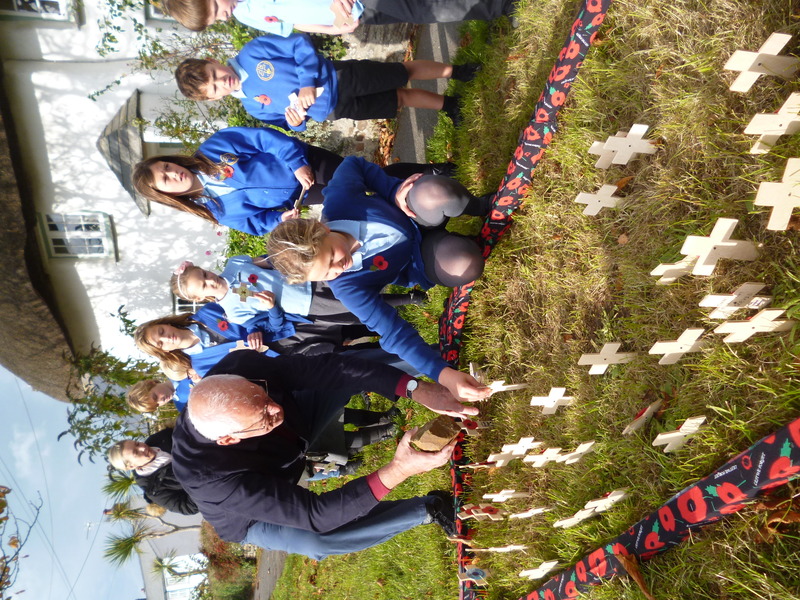 The councillors in turn placed crosses in the poppy field with names from the village war memorial on 31st October 2018. Marhamchurch Parish Council also asked for help with the WW1 100 Year Centenary. A parish councillor attended our meeting and asked that everyone in school made a poppy to be placed on the parish council's poppy net to go on display in the village hall over the remembrance. Which we all did! Marhamchurch Christmas Tree committee asked us to organise a colouring competition to light up the village tree.We chose a picture and shared in the classes.The lights go on 2nd December 2018. Please see blank entry forms below. Healthy Schools Learner Participation award supercedes the PADL award which we achieved gold last year. We are now aiming for platinum. This is all very exciting and will involve the whole school community. Working parties will be set up to cover many aspects in school. A litter picking and Christmas Tree working parties have started already and soon to be joined with 'diamond diners' and 'plastic free' school.We look forward to hearing how they all get on when they feedback to our meetings. We have had a very busy start to the year! We have followed on from last year's school council actions that they commenced and will be initiating some from the councillors manifestos. All children are invited to complete a manifesto to become a councillor. Each class will have two councillors. Class 1 will be represented by Class 5 councillors until they have their own vote later in the term. There will be a secret ballot to elect our councillors. This year we have an updated manifesto! Children remain anonymous, they will be voted in on their qualities and their ideas to make our school an even better place. All the councillor's hard work, involvement, many achievements and whole school support made school council successful. We look forward to being presented with the award from Cornwall Healthy Schools, Suzy Cox in September. A new school council will be voted in for the new school year. EVERY pupil in school can be a councillor. A new manifesto will be available for the 2018/19 very soon. The Final Term - We have achieved so much this year! We had a very successful non-uniform day. We collected enough money to purchase a bean bag for each class. Thank you for your support. The rota is done and our letter picking teams will be out and about. Making our school looking an even better place. We have been involved with interviews. We split into small groups, showed the candidates around school and asked questions. We then fed back our thoughts to the interview panel. Congratulations to Miss Shields! We had a fantastic sports day. This year following whole school discussions all the adults in school now belong to a 'team' - Crooklets, Summerleaze,Widemouth and Sandymouth. They were there to support and cheer us all on! Following numerous productive meetings with Tracy from Aspens and in class we organised discussions for the Charlie and The Chocolate Factory themed menu. The menu was finalised and two councillors designed posters, of which one was chosen and is being used in all the Cornwall schools. All classes have had auditions. Each class has two acts for the grand final. We have our adult judges Mr Hoare, Mrs Emery and Mrs Sargent. We will all have a role; judge, front of house, stage management, vote counter and some of us are in the show! At our next meeting on 11th June 2018 we will finalise the details and complete the running order. We have special guests, the school gymnasts, the school choir and a surprise act. Marhamchurch Rocks has it's very own Facebook page. Many of our rocks have been found. We organised our Widemouth, Sandymouth, Crooklets and Summerleaze team point photos. These are now on display in the hall. This term the team with the highest total of team points will be able to have their own non-uniform day in recognition of their efforts. Following a request for guitar lessons via our school council boxes Tom Lindell a music teacher from the Cornwall Music Service Trust came in and took an assembly. Playing his guitar has inspired some children to sign up for lessons. Our October detective walk is still achieving results! The apple trees have been looked after, now ready to burst into leaf. Our Think Big poster although highly commended was not shortlisted. We will try again next year! Following the request from Class 4 we will be starting the club this term. Many children have signed up to make our school an even better place. A popular request from all the classes. It was decided to fund raise to provide one in each class. Following class discussions school council has arranged a non-uniform day. Fingers crossed we can raise enough. We will be meeting Tracy Sargent from Aspens who cook and provide our hot dinners. Our dinners always provide a lot of discussion during our meetings. This annual school council event is Friday 15th June 2018. We plan, prepare and run this show. The organisation commences as soon as the term starts. Keep an eye on this page for updates. We will be supporting the Marhamchurch Village Community Shop. They are having their food fair in May. With the support of Mrs Dart Marhamchurch Rocks will start. A club is commencing when pebbles are painted to be placed around the village. Mrs Dart is running the club to paint the pebbles which will then be put on display at the food fair and after hidden around the village. 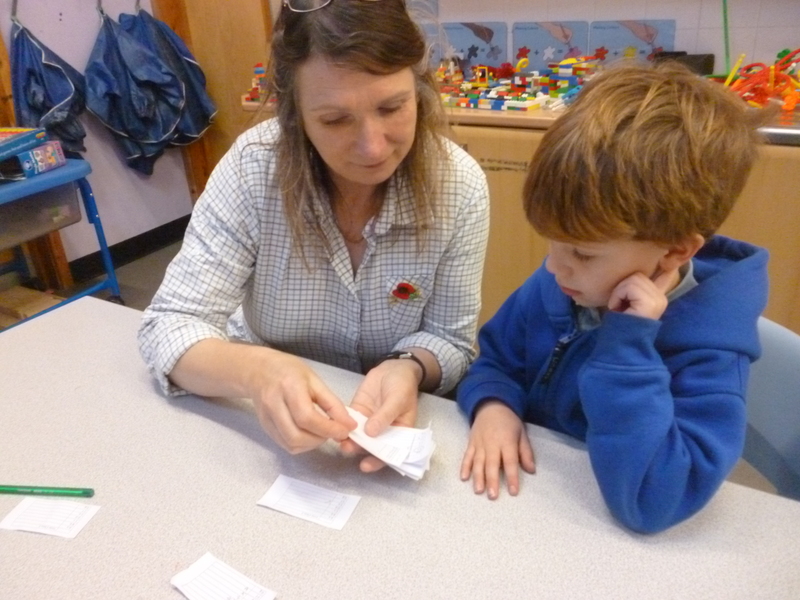 Class 1 had their elections during the first weeks of January. Everyone was invited and entitled to be a councillor. Manifestos were completed and displayed for all to read. The Year 6 councillors who had been representing Class 1 from the beginning of the school year organised and assisted with the secret ballot. They will now mentor our brand new councillors. We had our first full council meeting on 29th January 2018 which Mr Hoare also attended to help deal with the many 'actions' school council has to follow up. Mr Hoare will be running the London Marathon in April, the whole school successfully raised money to help him reach his goal. We came up with numerous other fundraising ideas which we will be putting to good use. Mr Hoare was recently interviewed and we had our picture taken with him. On our walk around school we thought that bean bags in each class would be beneficial. We are now going to organise a non-uniform day so we can but one for each class. Team point pictures in the hall were a little out of date and we are pleased to say Mrs Herzog is now going to take our photos. Thank you Mrs Herzog! Apple trees in the school grounds were looking neglected and now Mr Lawrence is going to sort these - thank you Mr Lawrence! Marhamchurch school councils over the previous years have been trying to establish a reward when their team wins.This is in recognition of everyone's effort and achievements being awarded team points. We have discussed in our meetings and in class. Ideas which have been from ice creams, extra play to non uniform days. We are finalising this now and hope to start a non-uniform day once a term. There are school council boxes in each class for ideas we can discuss. Class 4's box there was an idea to pick up any litter around school. 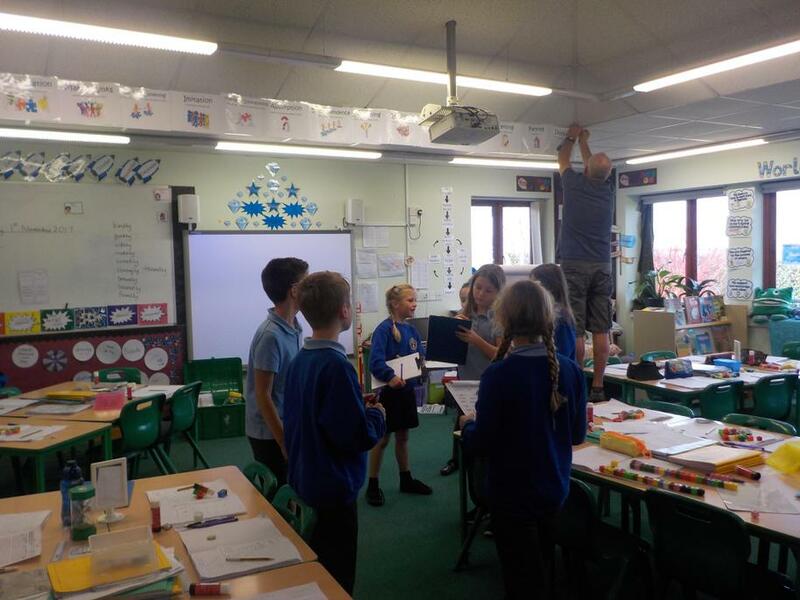 School council thought this would help make our school be an even better place, so they asked all their classes - who agreed! Very soon we will have a litter picking club. Mrs Paton noticed after each of our meetings there is always a sport related query that has to be actioned. We are now trialing the Year 6 councillors to follow these. up and we can consider this for the 2018/19 school council. We have helped our village shop with there up coming food fayre in May. We had to ask everyone what they would bake for a competition.We could choose from cakes, cupcakes or biscuits. We let Mrs Walter know and she is feeding back to the shop committee. The secretaries will regularly check for mail! Mr Hoare in our meeting. Mr Hoare running in the London Marathon 2018 - we talked in our classes to think of some ideas to raise money for Mr Hoare's charity. Suggestions were sponsored events, food sales, table top sale, a non- uniforms and a dress up day to name a few. We are hoping for a meeting with Mr Hoare soon to finalise an event. Marhamchurch village Christmas Tree - we were so pleased with the number of entries! On 10th December the winners switched on the lights. We will organise another competition in 2018. 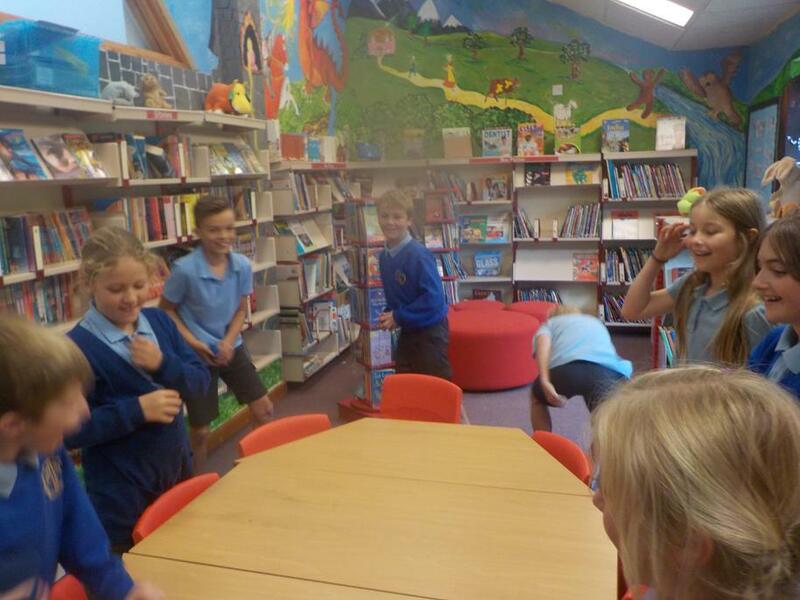 Clubs in school - an action from a class was to find out additional clubs we would like. We had a lot of feedback from everyone. Ideas included dance, maths, art, drama , cooking, scooter and guitar. We will be following these up over the next terms by taking to the adults in school. Follow up from our meeting with Mrs Walters; a Marhamchurch Parish Councillor - we had to ask how many children in school live in Marhamchurch Parish. We established Class 1 - 9, Class 2 - 14, Class 3 - 4, Class 4 - 8, Class 5 - 2. Our school council secretary emailed Mrs Walter with our information and Mrs Walters replied back to us. Mrs Walters also helps with Marhamchurch Community Shop and we will be helping with their Food Fayre on Monday 7th May. There is going to be a 'bake off'. 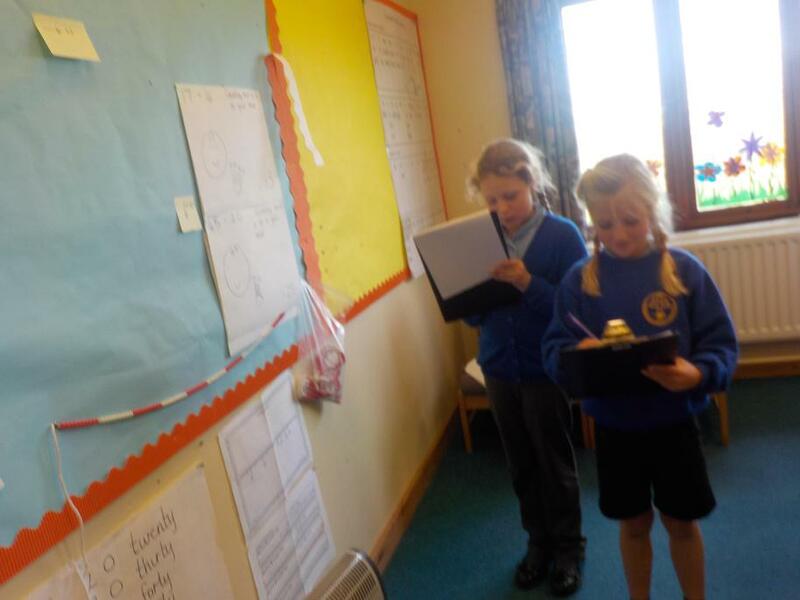 Detective Walk around school - we spent a lot of time talking about all our observations. We realised that it is not possible to do everything we noticed, some had already been sorted, we would need help with some and some we could start. We will keep you updated with our successes to make our school an even better place! We have noticeboards outside each class and one in the hall to keep everyone up to date. Our first meeting in 2018 is Monday 29th January. The Class 1 elections run by Year 6 mentors will be complete by then and we hope to welcome two new councillors. We decided on the competition to light the Christmas Tree lights in our village. Everyone colours the design, one infant pupil and one junior pupil will be able to light the tree on Sunday 10th December 2017. Please see the entry forms on our page. All the officiers have been voted in with another secret ballot and now taking on their duties. The chair ran the first meeting with our guest Mrs Jackie Walters a Marhamchurch Parish Councillor. School Council. We compared our council to the parish council and it is almost the same! We want to make our school an even better place and Mrs Walters wants to make Marhamchurch parish a better place as well. We are going to help with the Marhamchurch Development Plan. We now have our school council for this school year! The elections were held during the week starting 2nd October. All canditates read their own manifesto. We had a secret ballot and every child in classes 2, 3 ,4 and 5 marked their 'cross' on a ballot paper. (Class 1 will have their election later in the year.) The council was announced in celebration assembly on Friday 6th October. This was held Tuesday 10th October. A welcome and an introduction to the new councillors roles. Here is a picture of us throwing and catching bean bags. We started with one, then built up to ten. We learnt by doing this we can deal with one or two ideas well. If there are too many ideas it does not work. Our first responsibility! Harvest Festival donations for the Bude Food Bank. As the school year starts another school council will be elected. Anyone can stand for election; two councillors per class. To begin with year 6 will represent Class 1 until they hold their own election later in the Autumn term. All you need to do is complete your own manifesto - which you can find here! State the qualities you have to represent your class and any ideas you can realistically do to make our school an even better place! Week commencing 4th September 2017- manifestos will be available to be completed. Friday 29th September 2017 - DEADLINE for completed manifestos. Please display them in your class. Week commencing 2nd October 2017 - elections in class by secret ballot. Friday 6th October 2017 - announcement of new council in celebration assembly. Monday 9th October 2017 - first school council meeting. We had a wonderful show. So many talented children! From magic tricks, football skills, tennis skills, singing, gymnastics to dance. Our judges had a challenge on their hands! The school gymnastics club did a wonderful display and the surprise secret act was Amanda Rice who comes into school to teach woodwind. We finally started this! The PSFA kindly donated money so we could purchase some stock. We used the feedback and surveys we completed in school to buy what we knew everyone would like! We really want the 2017/2018 to carry this on! With our community links with Marhamchurch Village Shop we hope to source our tuck supplies from here. We reflect on what we have done throughout the year. We have achieved a lot from the 'detective walk' in October, carrying on from the last years school council and pass on 'actions' for the new school council. ANYONE in school can be a councillor for their class. Plans already for next year. Nicky Chopak the Cornwall Councillor for Marhamchurch would like to visit us. Jackie Walters the Marhamchurch Parish councillor would like to drop in. Meet up with St Stephens Primary School again to talk about ideas. We hope to share our good practice with St Tudy Primary School. Spring 2 Term - another update. After the working party's meetings with Mrs Hockin and Mrs Mead; 'diamond diners' is up and running. Training was given to four councillors, each award diamond tickets every lunch time to children following our Diamond Rules. All tickets are collected and four names are pulled out a hat in Friday Celebration Assembly. They can bring a friend to sit at the diamond diner table. All laid out with a table cloth, special cutlery and plates plus the bonus of being able to be first in the queue for hot diners! This term more councillors will be trained. We had a great time visiting St Stephens School in Launceston. We had our picnic lunch together in their meeting room, all councillors got to know each other. We showed our PowerPoint, taking it in turns to talk about each slide. We shared plenty of ideas and we hope to meet up again soon. Sadly Windmill School could not make it but we hope to see them next. time. We helped Marhamchurch Village Shop by completing questionnaires asking for each child in school their opinion and thoughts about the shop. The shop is in a temporary building and they hope to build a bigger shop in the centre of the village. The feedback we gave will hopefully help them receive the grants they need to do so. We were invited to go to the shop and have a look around. We did fill it up with twelve councillors! The shop may be able to help us with a tuck shop. We have another working party for the tuck shop. Research was undertaken and we were surprised we have been working on a tuck shop since 2012. We did have a tuck shop briefly but unfortunately it had to stop as our school cook did not have enough time to cook the tuck and the hot school dinners. We are close to starting a new type of tuck shop! Mrs Prinsep our school council governor liked our ideas, the working party now needs to talk to Mrs Mead. hopefully good news next time! We were not successful in the 'Think Big' competition. This did not dampen our spirits as we thought we could fund raise to get one. We have placed this on our agenda for next term. Our poster is just below - if you would like to have a look. Talent Show Friday 26th May. Marhamchurch is bursting full of many talents! School council always organises this great event! 28th April - deadline for all entries. 2nd May - all week auditions in class. Elections were held and organised by the Year 6 mentors. We now have a full council. We now know that we can not sort everything we want to and we need help from adults in school to make our school an even better place. From our walk we noticed we needed benches, all our classes agreed with is when we asked them. They are very expensive! We are now entering a Cornwall Association of Primary Heads, 'Think Big' competition. We could win £500.00 if the judges think a buddy bench would help improve our school. Diamond Diners - everyone in school wanted this back. It is a treat to have your lunch at a special table. We made a working party who have had a few ideas and next will have a meeting with Mrs Mead and Mrs Hockin. Other matters we have talked about. Each class has a school council box which any ideas can be written down so we can talk about it in our meetings.Also other matters that have arisen - here is a list! Mrs Murphy from the PSFA came to a meeting. She explained what the PSFA do for school. We have been asked to get 'wish lists' for ideas what they can raise money for. We are also helping sell tickets for the Popcorn Film Night. We were asked by Marhamchurch Village Community Shop for our help. They are trying to build a bigger shop. We asked many questions to our class and wrote down their answers. Our chair took our school's feedback to the shop and soon we will all and visit the shop. In March we are going to Launceston to meet school councils at St StephensCommunity Academy and Windmill Hill Academy. We will help them with the PADL Award. We will present a PowerPoint explaining how we run our council, what we have done and what we hope to do. We have had our elections. Each class has two councillors. The council has had several meetings, we had a 'get to know you' welcome meeting. We all learnt new things about each other. We all wanted to be one! the chair, secretary or treasurer. We had a secret ballot as there is ten of us and only six officiers. Our first meeting in November we start our duties. We walked around the whole school - both inside and out. We were deciding if we can make our school and even better place. Our governor came along as well to help. We will be working on our list and what we can achieve over the next few months. Please see the document below. We all sign this and is displayed on our class noticeboards and our main board in the hall. September brings the excitement of a new school council. A manifesto needs to be completed. These need to be completed and handed to your teacher by 30th September 2016. There will be class elections with a secret ballot during the week commencing Monday 3rd October. There will be two councillors for each class. The exception is Class 5, they will have four councillors as two will represent then mentor the Class 1/Reception councillors when they have their elections later in the term. Friday 7th October 2016 the new Marhamchurch School Council will be announced in our 'celebration assembly'. The first meeting will be held Monday 10th October. A new school council for a new school year.